*Edited November 2014-Got a new camera and updated pictures! First of all, I am so sorry for the lack of posts!! The past month has been a whirlwind, and I have so many recipes to share with you. Since Christmas is next week, I’m going to post some of my favorite sweet treats in the next few days. Get ready! 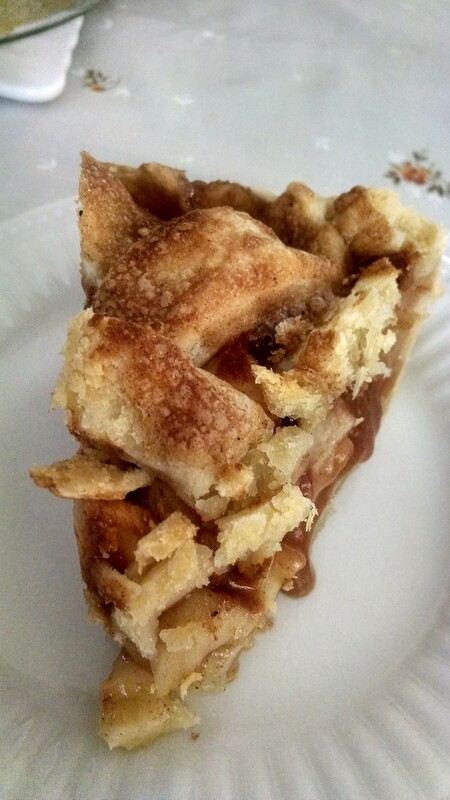 Here is the first installment of such posts: the best apple pie ever. Declaring a recipe as “the best ever” is a bold statement. I don’t take it lightly or use it often. 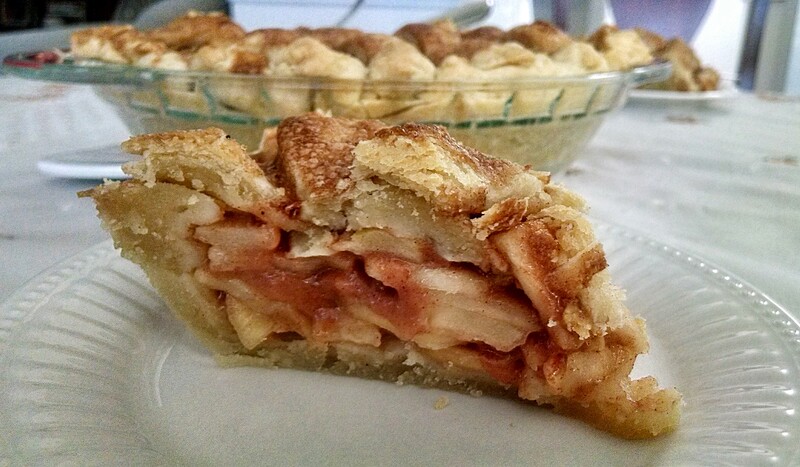 I’ve made this pie over and over again, and each time the friends and family I share it with agree that it is the best apple pie. So, dear readers, today I’m going to share how to make this holiday staple! So, what makes this apple pie so special? Let’s take a look at some key ingredients. The type of apple you use does make a difference. I use granny smith, but I’ve successfully made it with other varieties. As long as you choose a hard, tart apple, the end result will be delicious. Honeycrisp apples are great for baking as well. The apples are tossed in an incredible mixture of butter and sugar which you boil on the stove, creating a caramel-like sauce. Cinnamon, nutmeg, and vanilla flavor this filling as well. I like to reserve about 1/3 of a cup of this filling to brush on top of the pie crust. With this trick, the top layer of pie crust becomes flavorful, sweet, and turns a beautiful golden-brown color. Making homemade pie crust, in my opinion, is non-negotiable. I made two batches of my one minute homemade pie crust in the food processor. It only takes a few extra minutes to make your own, but the difference in flavor is undeniable. No, this is not a “healthified” recipe. Yes, there is a LOT of butter and sugar. It’s a recipe I only make once, maybe twice, a year to share with family and friends on holidays, and I don’t cut any corners on it. 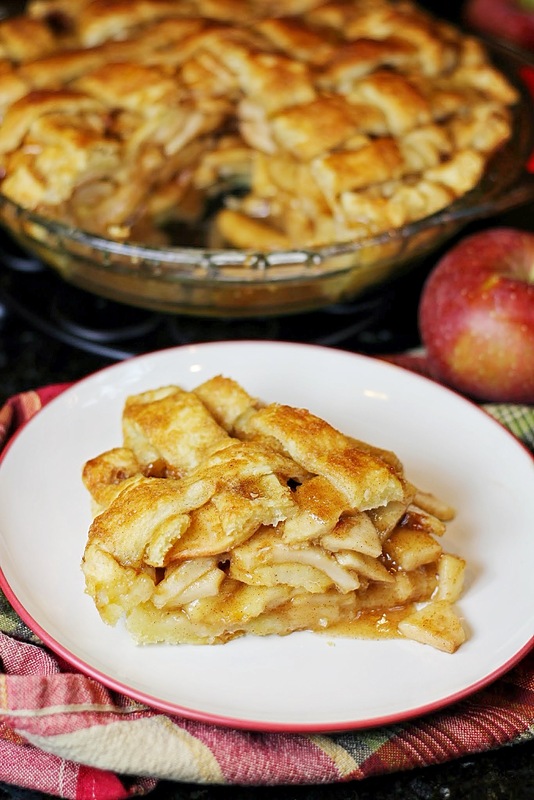 Look no further for the best apple pie recipe ever–this is it! 4). Remove from heat and reserve about 1/3 cup of filling for pie crust. Add remaining filling to apples. Toss well. 5). Pour apples into prepared pie crust, mounding slightly. 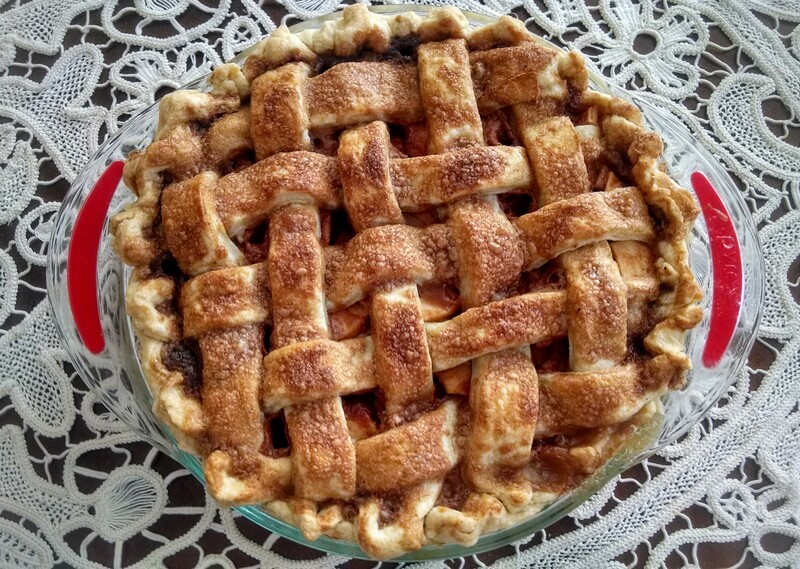 Top with second pie crust (lattice design, etc). Brush the remaining 1/3 cup caramel filling over the crust. 6). Cover the pie loosely with aluminum foil. I lightly spray the foil so it does not stick to the pie. Place the pie on top of a cookie sheet (to catch any drips) and bake at 425F for 10-12 minutes. Reduce the heat to 350F and bake for another 50 minutes (remove the foil the last 10 minutes to let the crust brown), or until done. 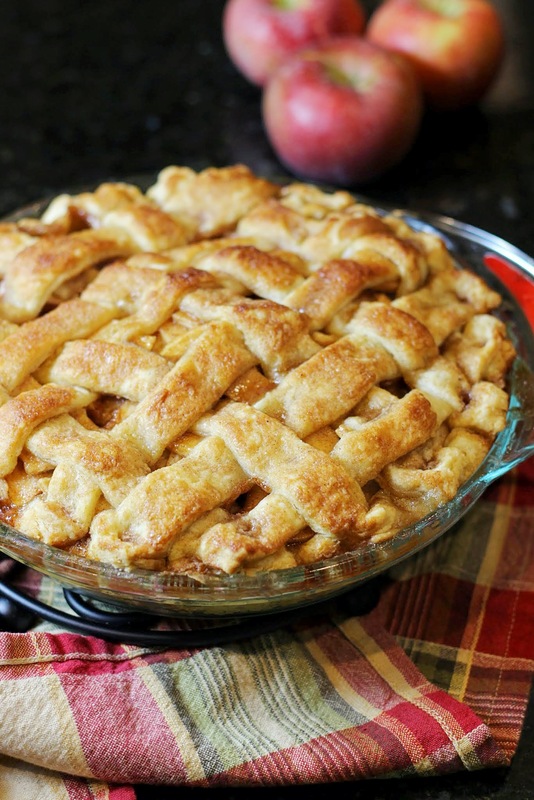 The pie is done when the crust is golden-brown and the apples are soft when pierced with a fork. 7). Allow the pie to cool before serving. Enjoy! Adapted recipe courtesy of Audrey’s Apron. Previous articleMY BIRD’S EYE VIEW: What’s So Great About A Picnic?